> Watch Chancellor C. Mauli Agrawal’s State of the University address online. 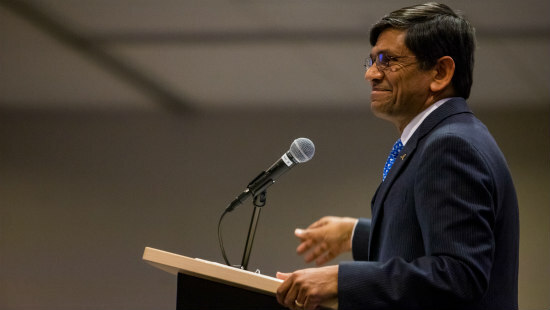 Chancellor C. Mauli Agrawal, Ph.D., announced $20 million in new scholarships November 8 as the capstone to his first State of the University address. The address focused on key themes and objectives in Agrawal’s vision for the university he has led since June, and also provided an opportunity to shine a spotlight on outstanding students, faculty and staff. 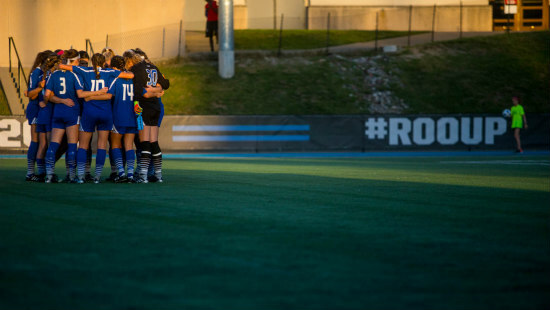 UMKC Women’s Soccer has achieved great success this season. They won their conference in the regular season and performed at a high level in academics, posting a team average GPA of 3.75. Agrawal’s address outlined his vision for a renewed and enhanced partnership between the Greater Kansas City community and UMKC, which was established by and for that community. That vision calls for strategic investment in several key areas, including student success, research, community engagement and an enhanced student life experience on campus. Commitment to the success of current and future students is at the core of Agrawal’s vision, and starts with making higher education more affordable to more students within the Kansas City community. 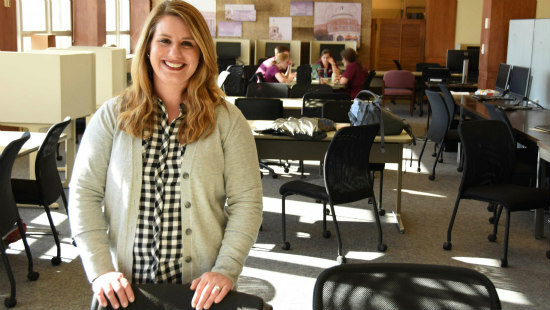 Breana Boger helped the Honors College increase enrollment from 120 to 400 students since June 2015. Her approach is to understand the complex picture of a student’s entire life situation and use that knowledge to empower each student to solve their own problems and to seek excellence in everything they do. The new need-based scholarships announced by Agrawal are being funded by $10 million from KC Scholars, $5 million from UMKC and $5 million from the UM System’s new Promise & Opportunity Scholarship program. KC Scholars, launched in 2016, currently awards approximately 500 college scholarships annually for students from the KC metro area to attend one of 17 partner colleges and universities in Missouri and Kansas, including UMKC. There are 46 recipients of KC Scholars grants currently enrolled at UMKC. The new funding will support 400 additional scholarships over the next nine years, each worth $10,000 per year, for students enrolling at UMKC. 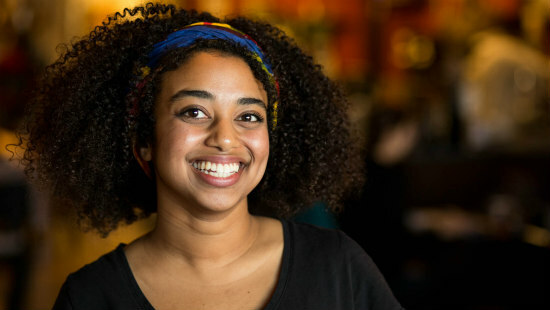 Salem Habte is an undergraduate student in the Henry W. Bloch School of Management. She exemplifies the Twin Pillars philosophy of school benefactor Henry Bloch because she believes in addressing problems in the world by using a business model. In the pursuit of excellence in engagement, UMKC will look for ways to increase community partnerships to address cultural, social, health and economic prosperity in the greater Kansas City region. “Our new strategic plan makes one point very clear: our foundational commitment as a university is to provide an unwavering commitment to the development of our people,” Agrawal said. Jane Greer, professor of English, is a gifted researcher. 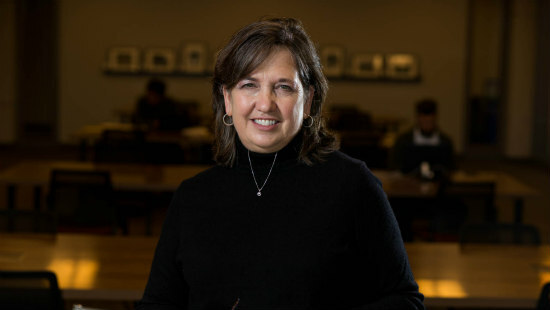 Her leadership has helped make undergraduate research opportunities a hallmark for UMKC, a factor that plays a critical role in attracting outstanding undergraduates to UMKC. To follow through on that commitment, Agrawal has tasked one of the university’s outstanding longtime leaders to develop and oversee an enhanced faculty development structure. Lawrence Dreyfus, Ph.D., has accepted the new position of Associate Vice Provost for Faculty Development and Research Support, effective January 1. 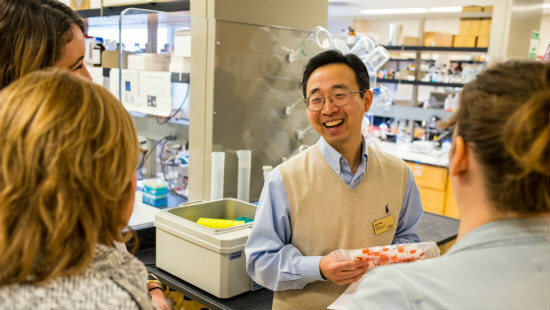 In just the past two years, Kun Cheng has been awarded three National Institutes of Health grant awards totaling more than 4.7 million dollars. He is an outstanding example of the greatness that is possible at UMKC. In Agrawal’s listening tour on campus, he has heard a lot from faculty, staff and students about the need to increase attention and service to mental health and well-being. As a result, a task force has been formed to review the state of mental health services. The goal is to take inventory of the campus resources, determine the level of preparedness to respond, identify gaps and develop recommendations for improvements. “My personal commitment is to ensure that we have the right services on campus, staffed at appropriate levels that work seamlessly together,” Agrawal said. “We will also explore ways to provide more professional training and mentorship for our staff so that they can have potential career ladders. This must also be a part of a strong infrastructure. 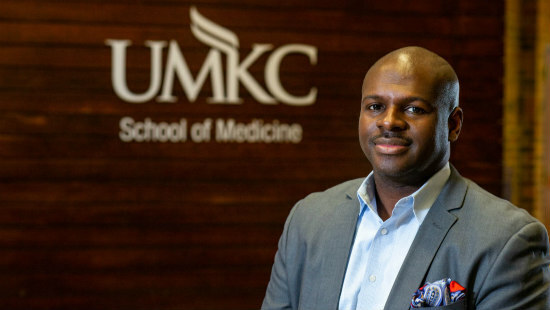 Nate Thomas, associate dean for Diversity and Inclusion at the School of Medicine, plays a critical role in implementing programs to support UMKC students and help them stay in school, overcome obstacles and succeed. Lastly, Agrawal said he will work hard to create a culture of “la familia” or “we are family” on the UMKC campus. This will start with first ensuring a high level of customer service. Tags: Chancellor C. Mauli Agrawal, State of the University.